Bentley may have recently launched the new V8 version of its Continental GT and GTC - which we'll be testing soon - but it's the immense 6.0-litre W12 engine which remains the mainstay of the range. 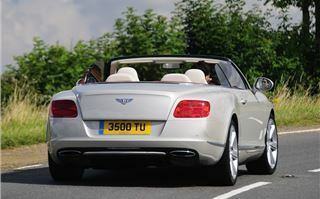 And we've been lucky enough to road test what is surely one of the most desirable cars around. 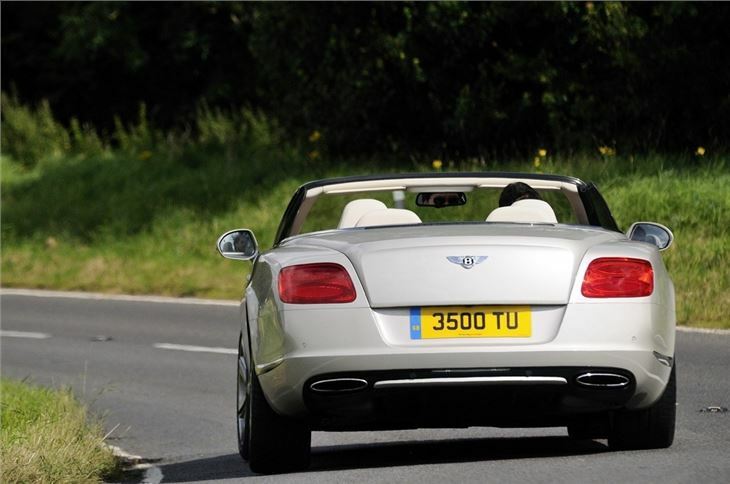 Launched in late 2011, this Continental GTC may look pretty similar to the old model but it is actually completely new, so we're told. 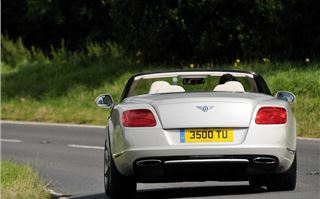 The previous Bentley Continental GT did end up with somewhat of a 'footballer's wives' image, particularly the convertible GTC version. 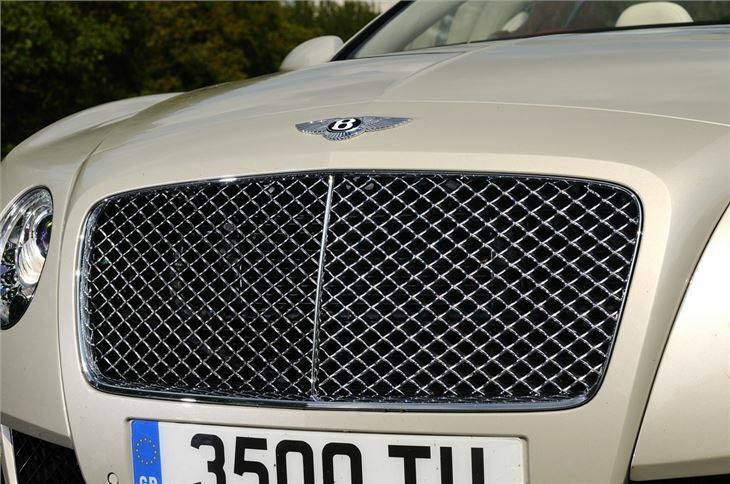 So that may be why this model is more 'muscular and sculpted' according to Bentley, with the aim of giving it a more aggressive appearance. 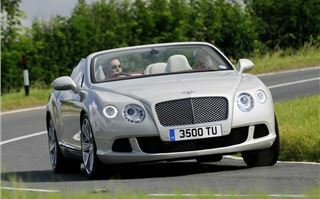 Many of the styling cues from the outgoing Continental GTC have continued and it's definitely an evolution of its predecessor. There are some key differences like the higher waistline and new jewel-like headlights with neat LED daytime running lights that surround the main headlight. 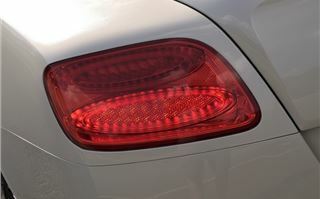 At the back it looks wider and lower with more squared off rear lights while all models come with 20-inch wheels as standard, although our test car actually has even bigger 21-inch wheels as an option. It may not be a big departure in terms of styling, but the GTC is a car that has the ability to get attention wherever you go. The White Sand paintwork and Fireglow Red roof of our test car probably helped. And while it wouldn't be my personal choice, you can imagine that this GTC would look very much at home on the Cote D'Azur. 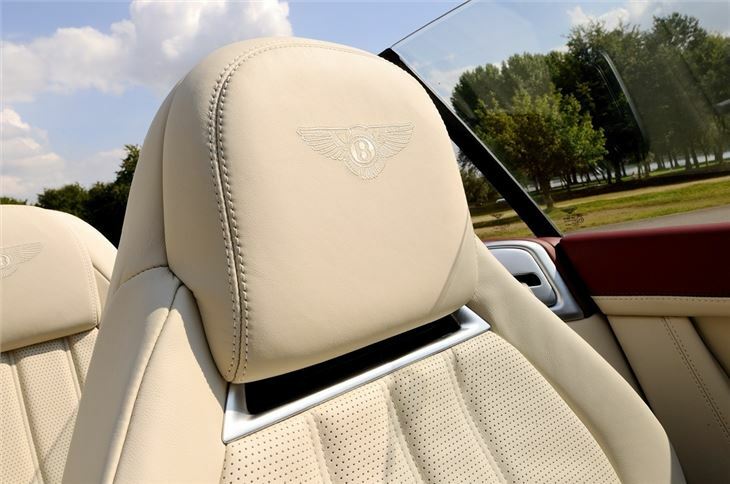 The interior is even more striking with its cream and red leather combination plus it's here you get to appreciate the handcrafted quality that makes a Bentley such a special car. 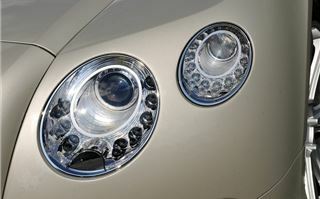 While other manufacturers may talk about luxury and sophstication, the Bentley is the real deal. 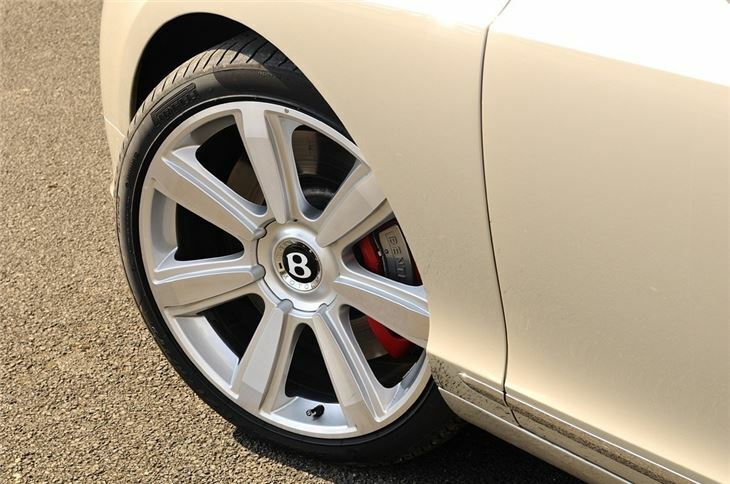 There's an understated class running through everything and while this is far from being anything other than an expensive car, you can certainly see the uncompromising focus on quality that Bentley people talk about. The convertible roof is a perfect example. It's not the quickest around, taking 25 seconds to fold down (although it does at least work at up to 20mph) but the three-layer design is supremely insulated, so much so that with it up, the GTC feels just like a coupe. So you get the benefits of a metal roof without the weight and bulk. The rest of the interior continues where the old model left off. 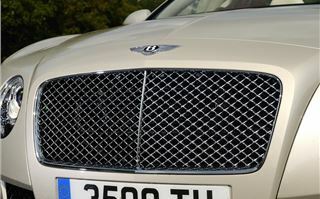 Nothing is hugely different, but Bentley has improved pretty much every aspect in some way or another. 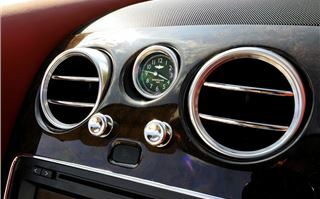 Traditional elements, like the metal pull switches for the vents, remain, while there are new features such as the clever 'Neck Warmer’ - an air-flow system with three power settings which keeps your neck warm if it turns a bit nippy with the roof down. 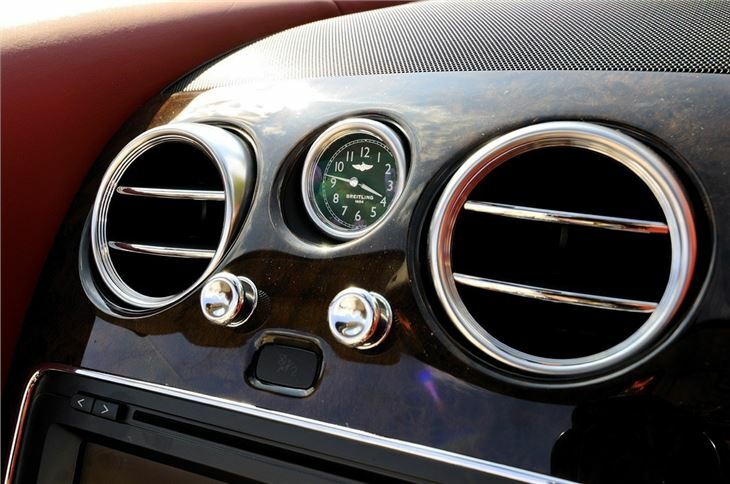 Mercedes-Benz has something similar on the SLK. The seats are better too with new multi-layer foams and, for the first time on a GTC, an optional front seat ventilation system with a pneumatic massage function. This GTC also has a longer wheelbase so there's more room for passengers in the back. WAGs need not despair though as you can really go to town with the personalisation. 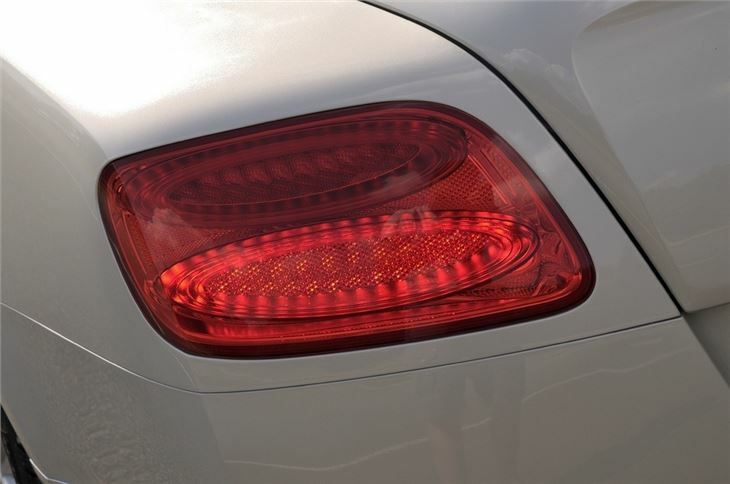 There's a choice of 17 standard soft-touch leather hide colours with six colour split combinations, complemented by a range of seven veneers, all handcrafted in Bentley’s workshops at its factory in Crewe. It may look traditional but this Bentley is bang up to date with technology including its sat nav system with an eight-inch touchscreen that's Google Maps-compatible and a 30GB hard drive for storing music. 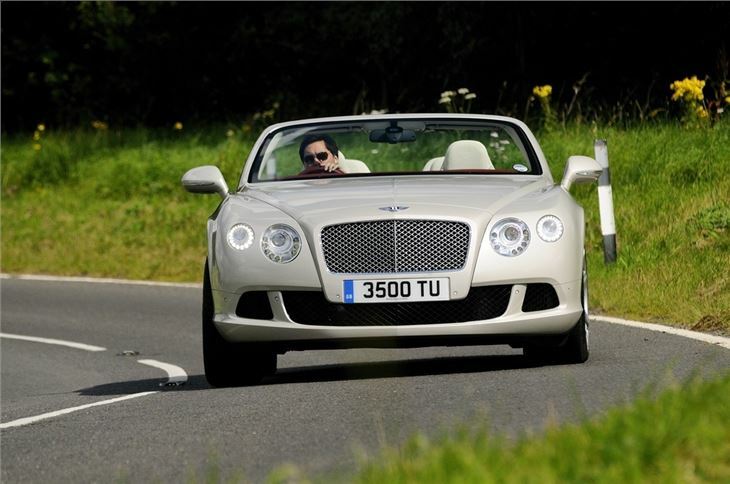 But of course the real highlight of any Bentley is the engine. And this GTC certainly doesn't disappoint. 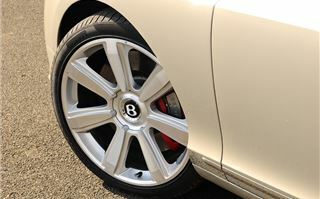 The 6.0-litre W12 unit has been carried over from the previous GT range but has been uprated to produce even more power. It now develops 575PS along with a monstrous 700Nm of torque, up 50Nm from before, so the performance is as rapid as you'd expect. 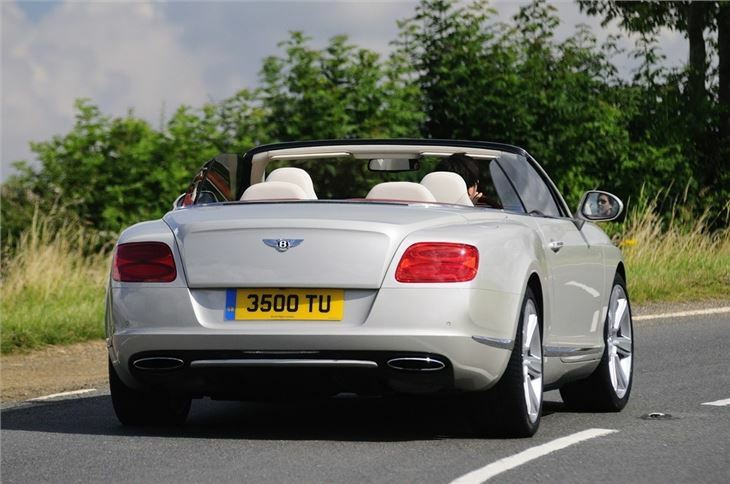 There's no mucking about here, this Bentley is swift, with 0-60mph taking just 4.5 seconds and a top speed of 195mph, should you need it. It's a real beast of an engine and sounds lovely on start-up thanks to those huge dual oval exhaust pipes. Like the rest of the GTC it's incredibly refined and smooth - this is not an engine that needs to be revved or stressed, instead you can let that famous Bentley ‘wave of torque' propel you along. It's amazingly effortless and the GTC builds speed so quickly it's easy to touch triple figures without even trying. It's as thirsty as you'd expect though, with a claimed average of just 17.1mpg. During its week with us, our test car averaged around 16mpg covering around 700 miles so at least the official figures aren't pie in the sky. And with a huge 90-litre fuel tank you don't have to fill up as often as you'd think, although it's usually an eye-watering total. 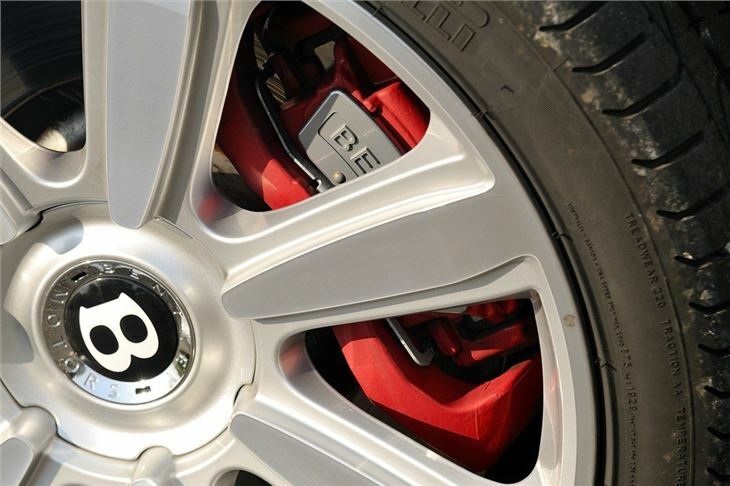 But is there more to this Bentley than just a lot of leather and a big engine? 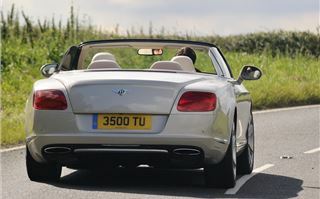 Well at knocking on 2.5 tonnes it's no bantamweight and you're always aware that this is a big car but it still handles very tidily, helped by what Bentley claims is the stiffest convertible body in the world. The GTC also has a wider track and revamped steering, so it feels more responsive when you first turn into a corner. As well as all-wheel drive the GTC has Continuous Damping Control which is designed to minimise body roll and can be altered on the touchscreen between comfort and sport modes. 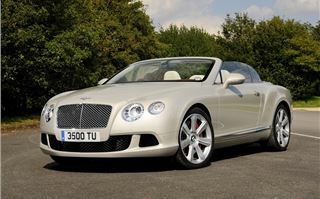 But the GTC is no sports car, nor does it pretend to be. It's a grand tourer that's designed for covering long distances quickly and in comfort. The ride is every bit as smooth as you'd expect, it's incredible reassuring at high speeds and just wonderfully easy to drive. So what about the negatives? Well I'm not a fan of the paddle shifts being fixed to the steering column rather than the wheel. Not only are they more awkward to use but they look messy. The changes could be quicker too as there's a delay between pulling the gear change lever and it actually responding. 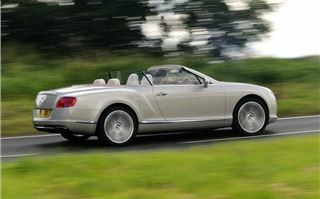 The good news is that Bentley is now fitting a new ZF eight-speed gearbox to replace the six-speed automatic. Aside from that there's not much else to find fault with. Not that there should be. 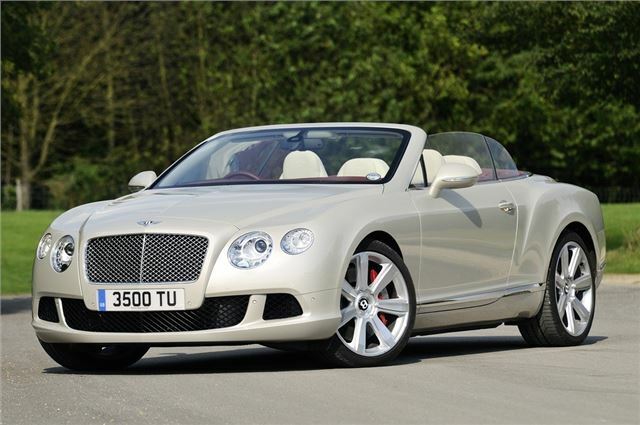 The Bentley GTC is the epitome of luxury, elegance and quality. It's simply a wonderful car to travel in and a real status symbol. Of course it's not cheap with prices starting at just under £150k and our test car, with all the options, came to £166,000 give or take a few hundred quid. But for that money you get the ultimate in handcrafted luxury and a truly special car.